Dr. Bridghid McMonagle graduated from Bastyr University in 2005 and completed a residency at the National University of Natural Medicine (NUNM). She started her private practice in Lake Oswego and currently owns Lake Oswego Health Center in Oregon (www.lakeoswegohealth.com). Dr. McMonagle is trained and certified in many procedures, please see the clinic website for more information. Dr. McMonagle has been a board member for the OANP for almost 10 years, volunteering her time, to help protect and educate about holistic medicine. Her clinic offers primary care with a focus on regenerative and functional medicine. 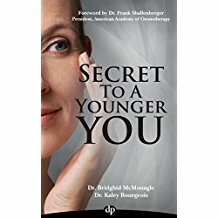 She is the co-author of the best selling book, Secret To A Younger You. Dr. McMonagle completed her U.S. Peace Corps service in Thailand in 1999. During her time in the Peace Corps, she became fascinated with herbal medicine and various treatment options which inspired her to pursue naturopathic medicine. Her activities include soccer, CrossFit, rock climbing, gardening, and staying active in the outdoors. Dr. McMonagle is a member of the AANP, OANP, Physicians for Responsible Medicine and ACAM. She feels is it is important to support organizations that continue to train physicians and enhance public awareness about medicine that works. Dr. McMonagle was one ACAM's most referred practitioners in May 2017. Looking for more referrals to your practice? Join ACAM today and get listed on PHYSICIAN+LINK! "Dr. McMonagle has shown exceptional knowledge and care regarding my issues. She has solved many issues that other doctor’s couldn’t. I like the way Dr. McMonagle focuses on lifestyle issues before prescribing. The ozone injections have been spectacularly successful in healing my numerous injuries and recommend this to any who suffers from sports injuries, vehicle accidents, or anything/anywhere in which you feel pain. I have seen many dermatologists in the past and Dr. McMonagle was the first doctor to take into account my diet and food allergies. Thanks Dr. McMonagle!!" "You owe it to yourself to choose a holistic approach to your medical care. Everything is not cured by one common approach. Dr McMonagle finds the root cause. She looks into our unconscious patterns to see if lifestyle changes are necessary instead of prescription drugs. However, if needed they are prescribed. Generations of people have been nurtured on naturopathic medical care which focuses on a good balance between mental and physical health. I like to think this approach lays the groundwork for a lifetime of good health." 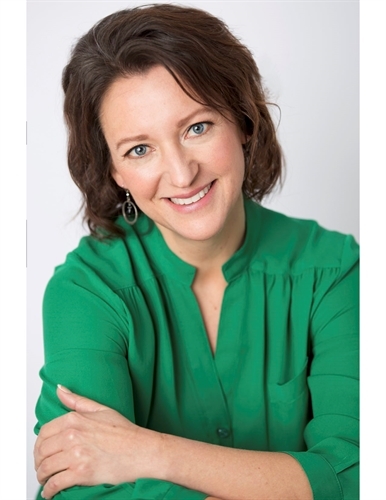 "Dr. McMonagle is extremely knowledgeable in naturopathic as well as conventional medicine. In my case she helped me get off prescription blood pressure medication. I now have lower blood pressure without taking dangerous drugs. Needless to say I am thrilled. Dr. McMonagle is a compassionate listener and treats the whole person and not just the symptom. I give her my highest recommendation."